Dumbo, Aladdin and The Lion King: Are these Disney live-action remakes really for kids? There's so much hype around the live-action remakes of our most beloved children's movies coming out this year. But are they still appropriate enough for kids to see? We did an analysis of each and included the trailers for you to decide if you'll be booking their tickets along with yours, or a babysitter. With their live-action remakes, Disney’s started rolling out a whole new world – a new fantastic point of view – for us to explore. It started with Jon Favreau’s Jungle Book in 2016, with upcoming titles this year including Lion King and Aladdin. But despite the excitement that comes with rewatching a CGI Mufasa die in RealD 3D and Will Smith dance alongside a magic carpet, granting wishes like Oprah, we’re wondering, is this retelling of some of our most beloved children’s stories for the whole family to see? Or should we book a babysitter along with our tickets? When we checked the release dates for some of the most anticipated live-action films coming up, we also checked their age restrictions. While Lion King and Aladdin don’t have age restrictions as yet, Dumbo, like the Jungle Book, is rated PG. But I feel any child younger than 10 shouldn’t have seen a young Mowgli hypnotised and almost devoured by a snake so real it felt like it was staring right into your soul... even with parental guidance. So looking at the upcoming trailers, along with word from Common Sense Media, we thought we’d flag a few things in the upcoming live-action remakes. When a trailer for a movies starts with “From the imagination of Tim Burton”, you know it’s going to be all kinds of weird and wonderful – the weird usually having a darker undertone. We’re sure Dumbo isn’t going to have scissor hands or be half corpse, but from what we can see in the trailer there’ll be clowns (and not painted with bright reds and whites, but drab, faded colours, much like Christopher Nolan’s Joker brought to life by Heath Ledger), and even Dumbo himself seems to have a painted face. While it is obviously problematic to be painting an elephant’s face, whether CGI or not, the tones are muted and there are also clear themes that, in true Tim Burton spirit, are more intense in live-action. So although most of us and our little ones are aware of the themes in Dumbo, seeing everyone’s favourite baby elephant exploited for his abilities, as well as taken from his momma, can be rather triggering and scary for children, particularly considering everything looks so very real. Aladdin looks a lot less dark and a lot more magical than Dumbo. We can’t see too much in the trailer, but it does look action-packed opening with a chase through the streets of Agrabah, a huge explosion of petals, before Aladdin and Jasmine lock eyes – ah, love at first sight. 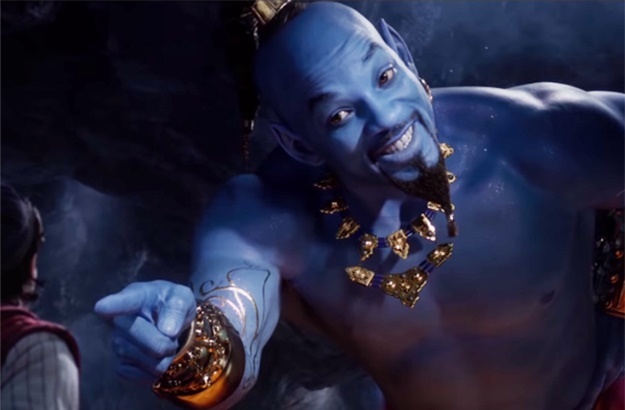 Like the Disney films we’ve come to know and love, the live-action remake of Aladdin seems to carry the same kid-friendly themes, and complete with epic cinematography, what sounds like all the original songs from the 1992 classic, and everyone’s favourite Fresh Prince breathing new life into our big blue Genie, we think the film is appropriate for the whole family to see. Fingers crossed the remake just does away with the offensive representations that made the original as problematic as it was. …we’re more excited than ever. But knowing that, well into adulthood, we still haven’t recovered from seeing Simba’s dad die, we’re slightly concerned about how kids will find the live-action fight between Mufasa and Scar. Will you be taking your children to see the live-action remakes? Do you think they're appropriate for younger children? 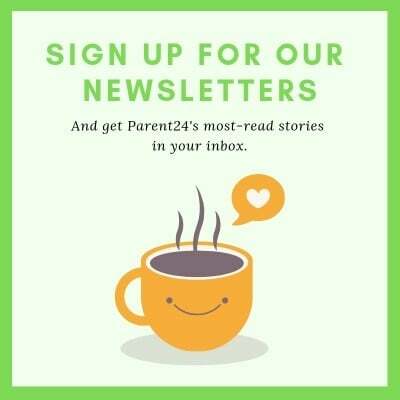 Send your advice and thoughts we may share it with other parents.